Malacca might be the third smallest state in Malaysia but it is in no way lacking when it comes to activities and historical sights. This part of Malaysia sees many tourists each year and the best hotels in Malacca, Malaysia are constantly welcoming new guests. All the forms of accommodation in Malacca are top class and even the cheap hotels in Malacca receive great reviews. You could stay at the best hotel in Malacca, or find an idyllic Malacca beach resort, or for families stay in a self-contained, serviced Malacca hotel apartment. This part of Malaysia has plenty of interesting historical sites to visit and museums too. For a truly educational experience and look into the fascinating, diverse culture and history of Malaysia, you should visit the Baba-Nonya Heritage Museum. It is a great place to take the whole family and it will give everyone a better understanding regarding this wonderful country. The Heritage Centre on Heeren Street is another wonderful landmark to visit. A walk through this double storey house is the perfect way to get a feel for life years ago. If you want to talk a walk in the old city centre, make sure that you visit Jonker Street. There are many souvenir shops in this area so you can find some mementoes for yourself and some to take home as gifts as well. There are a number of different cultural influences in Malaysia and, particularly, in Malacca. For some greater insight into this diversity, you can visit places like Stadthuys, Red Square (Dutch Square) and the Portuguese A Famosa Fort. There’s nothing quite like escaping the four walls of the hotels in Malacca Malaysia and enjoying some much needed fresh air and fun. 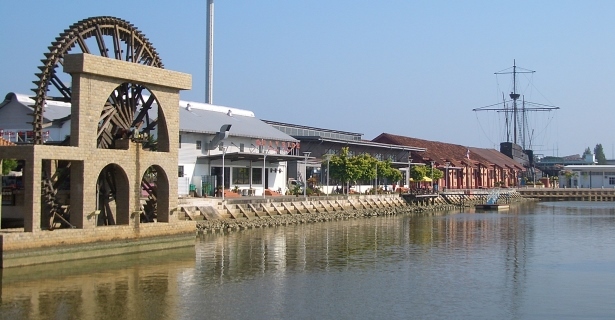 The Malacca River is a popular destination for holidaymakers. Whether you simply go to enjoy a gentle stroll by the water or hop on board for a river cruise, it’s well worth visiting. If you enjoy aerial views of your surroundings, then you absolutely have to visit the Menara Taming Sari. From the observation deck, you will be able to get the best view of the city from above. Outdoor lovers can even enjoy a hike up Gunung Ledang (Mount Ophir). When doing so, make sure that you take more than enough water and supplies with you. If you are trying to decide where to stay in Malacca, you should definitely do some online research first. Booking a budget hotel in Malacca town online can save you a bundle and don’t forget to look out for all the tempting accommodation promotions and discounts available. Who knows, maybe with the right deal, you could even upgrade to a suite in a fancy Malacca boutique hotel.